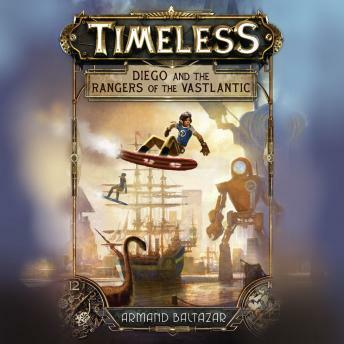 For fans of Rick Riordan and Brian Selznick, Armand Baltazar introduces the first book in a new fantasy adventure series. You've never seen Earth like this before: continents reshaped, oceans re-formed, cities rebuilt. Dinosaurs roam the plains alongside herds of buffalo, and giant robots navigate the same waters as steam-powered ships. In New Chicago, Diego's middle school hallways buzz with kids from all eras of history and from cultures all over the world. The pieces do not always fit together neatly, but this is the world he loves. There are those, however, who do not share his affection. On his thirteenth birthday, Diego learns of a special gift he has, a secret that is part of something much bigger. When his father, New Chicago's top engineer, is taken by the Aeternum, Diego must rescue him and prevent this evil group from disrupting the fragile peace humanity has forged.